Once at a party I met a woman and very quickly something strange happened. We formed a connection so immediate and palpable that I look back on it a year later with wonder. We didn’t have anything in common as far as I could tell. She was a gentle person, ladylike even, very different than me. I’m told I sometimes have an edge. She was well-dressed and perfectly groomed, two phrases that will only apply to me when I’m laid out in my coffin. We stayed together much of the evening. We didn’t talk about anything important or intimate, and yet our bond felt important and intimate. The most tender parts of us recognized each other and responded with sympathy. It sounds romantic but it wasn’t. It wasn’t exactly like friendship either. I liked her very much and felt easy and graceful with her but I didn’t expect to see her much afterwards. I can’t describe it to you. It sounds made up or silly. But I tell you, it was as real as the chair I’m sitting in. I thought about that evening for a long time after, and then I didn’t run into her again and the seasons changed and I forgot about it. This poem made me remember. I don’t want to pick apart this poem in my usual fashion. It’s so exquisite, I feel as though my clumsy fingers would mess it up. Let me just say that I love how Anne Swir (and her excellent translator Czeslaw Milosz) sounds so natural on the page. This poem is at least fifty years old and probably much older, but it feels fresh. I read it over and over, marveling at how she does it. Her words are simple, her style unaffected, her voice full of heart. I’m beginning to think this enchanting combination of effortlessness and soulfulness is a Polish trait–I hear Anna Kamienska and Wislawa Symborska here—this wonderful ability to speak from the heart without sounding overly sentimental. Swir connects with readers in the same way she connects with the beggar woman—with a marked absence of irony and guardedness. 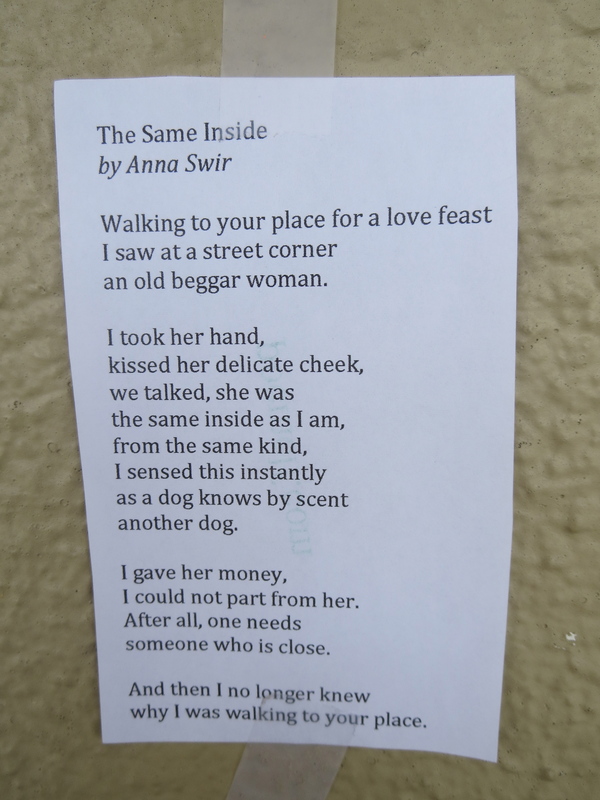 I left the poem in a spot where a man in a wheelchair panhandles a few times a week. 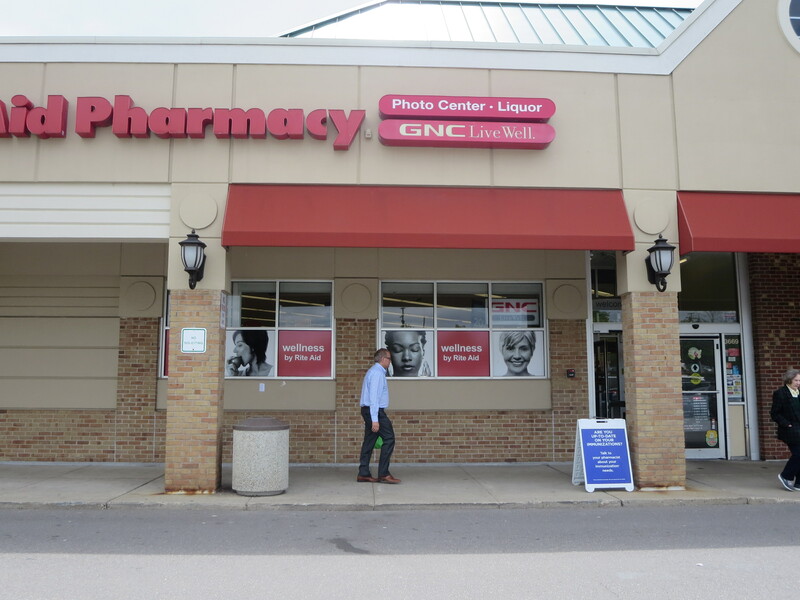 Delbert McCoy, a burn victim, collects money in an old Pringles can outside Rite Aid, hands out candy, and once in a while sells copies of his book, Still on Fire. Delbert was trapped in a nightclub fire in his youth and has endured dozens of surgeries to survive and repair the damage to his body. He looks nothing like the able-bodied suburbanites who pass by him on the way to the drugstore: his skin is mottled, his face disfigured, and his arms end in stumps instead of hands. Even so, his humanity shines through his wise and kind eyes. His gentle presence is a reminder that, appearances to the contrary, we are all the same inside. 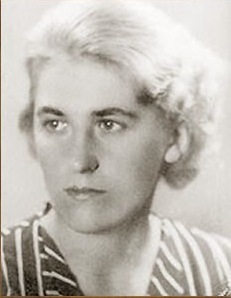 Anna Swir (Świrszczyńska)was born in Warsaw, Poland in 1909. Her family was poor but artistic. Her father was a painter, her mother a former singer. Swir worked from the time she was young, and paid her way through university where she studied medieval Polish literature. She worked as a waitress during WWII and began writing for underground journals. During the Nazi occupation of Poland, she joined the resistance. I read that she was arrested at one point during the war and told she would be executed in an hour, but I can’t find any details of her reprieve. During the bloody Warsaw Uprising (in which Poles attempted to liberate the city), she worked as a military nurse. Although she began publishing poetry in the thirties, her poems weren’t available in English until the late seventies. In addition to writing poetry, she wrote children’s plays and directed a children’s theater. She lived in Krakow until her death from cancer in 1984. If anyone has more information about her (there’s not much on the web) or has had a similar bonding experience to mine, please share! This poem also stirred me. Beautifully said. A beautiful insight. Sends me back to the poem. Thanks for sharing. I’ve never heard of Anna Swir before, and I’m glad to discover her here. I’m Polish-American on my dad’s side, and lately I’ve started to consciously explore that part of my heritage. Thank you. The experience the poem describes (and which you describe too) reminds me of the John Guare play “Six Degrees of Separation” (one of my all-time favorites). Two characters, separated by race and gender and age and background and income, nonetheless form a connection that defies all categorization. It’s a very powerful play (the movie with Stockard Channing and Will Smith is worth seeing). I had seen that movie so long ago I had to go to Wikipedia to refresh my memory. Which lead me to the synopsis of the play (much different–much darker) where they reprinted Stockard Channing’s monologue from the end of the play. So great! Thanks for leading me to that! It’s my thought for the day…. A lovely poem. Sometimes it’s so hard to recognize people through their physical being, maybe they are too beautiful and you feel plain, maybe they look angry or unapproachable, maybe their looks are so different from you that you feel alien or make them out to be, yet you may discover if you can get past the surface they are “the same inside as I am”. You were lucky to have that experience, the finding of the soul without regard to what is presented to the world. I can’t help thinking of Dustin Hoffman in an interview after he made “Tootsie” when he said he did not know how many women he had dismissed because they were not acceptable to his sense of beauty. Yet when he played Tootsie, he realized he was still himself inside that costume of a plain middle-aged woman, someone he would have ignored. I think he realized that line in a very personal way, “the same inside as I am”. I find now that I am older I am moved often to talk to anyone, even beautiful men I would have been too shy to talk to in my youth, or people who appear ruthless or uncaring. Sometimes when I approach those people, I discover they are shy and have been too often disappointed. It makes going out into the world an adventure! I heard that interview too–was it Fresh Air?–really moving and powerful to hear him acknowledge he would have ignored Tootsie. And now Louis C.K. (or his character on his show) admits the same about heavy women. Good reminders for all of us to go deeper. It brought to mind this odd experience I had one day years ago when my sister and I were in the Giant getting groceries. We were advancing to the busy checkout area and my eyes were looking down, at the back of a woman pushing her cart in front of us. There was nothing notable about her and I didn’t even look up to see her face. But suddenly I had what I think they mean by an epiphanic moment (and as LSD experiences used to be described eons ago) I turned to my sister and said in a low voice and nodding at this woman walking in front of us, “I’m her and she’s me.” My sister smiled at this–I think she “got” what I was saying, but we didn’t discuss it. I just recall being sort of stunned by this sense of the dissolution of the (ego?) walls that normally separate us from each other, that keep us in our little selfhood boxes…. We really are each other inside….